With AMD Polaris, we have seen fast graphics cards at a rather reasonable price, but miners soon began snapping them up and driving prices higher. Since the situation is bit better now, AMD is apparently looking to improve Polaris lineup with a new series of graphics cards. According to ChipHell, AMD Polaris 30 will see the architecture bumped up from the 14nm process to 12nm. It's estimated that performance on Polaris 30 could see an improvement of up to 20%. At the moment we haven't much information about it but in the report there are additional information about upcoming Navi series. 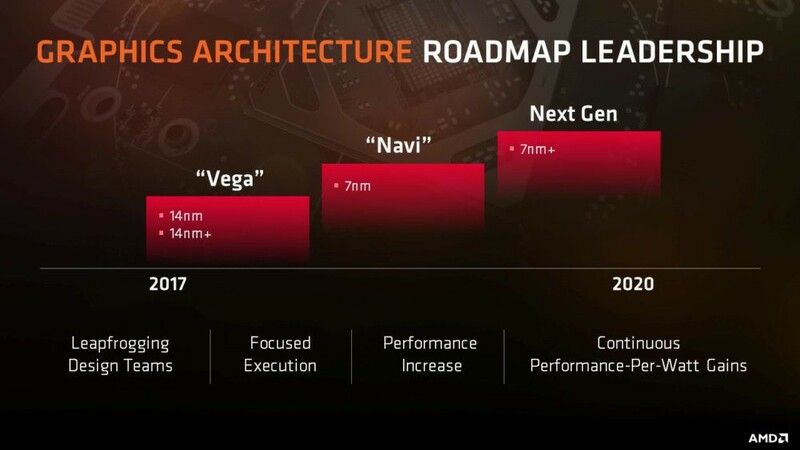 AMD upcoming Navi architecture will be aimed at the mid-range market, keeping that in mind Navi could replace current Polaris while the upcoming Polaris 30 should cover the high-end market.